"Weathering" refers to the chemical composition of these steels, allowing them to exhibit increased resistance to atmospheric corrosion compared to other steels. This is because the steel forms a protective layer on its surface under the influence of the weather.The corrosion-retarding effect of the protective layer is produced by the particular distribution and concentration of alloying elements in it. The layer protecting the surface develops and regenerates continuously when subjected to the influence of the weather. In other words, the steel is allowed to rust in order to form the 'protective' coating. These are the mechanical properties. Regarding our sector, the COR-TEN Steel covers with a uniform coated its surface. This kind of film is composed by oxide and other elements wich allows to extend the corrosion. 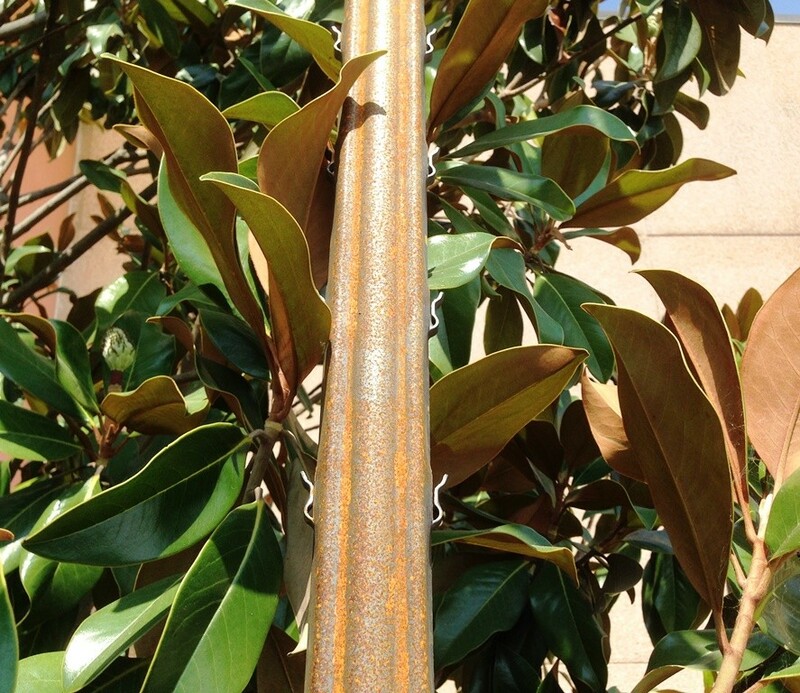 This kind of covering (generellay brown) looks like a valid barrier the corrosion extension. Do not hesitate to contact me for any information you may need.